Reflections, sermons, and other things by the coffee loving, beer sipping, baseball watching and nomadic church lady. At Grace Church in Pemberton, we have set up 14 stations around our property so that in the season of Lent one might walk the Way of the Cross, and then come Easter, the Way of Light. This is an ancient way of spiritual growth, and we offer it with a few options. This journey can be for all people, those who know Christ's passion well, and those for whom the whole church thing is a mystery. It can be done silently or reading aloud; it can be done on your own or with others. We only suggest that you take your time. Breathe deeply. Reflect on the questions of how we are so deeply broken and how this Passion changes how we see and respond to cruelty and deathliness. The stations start with a bucket of booklets and the printed options. · The folded Way of the Cross booklets are the most classic approach to this journey. · The Bonhoeffer sets are 14 biblical stations paired with writings by theologian Dietrich Bonhoeffer. It finishes with a short set of prayers. · The Bearing our Sorrows book has 14 chapters with many choices. At each stop choose one reading (or more) from each chapter. · The New Stations book could be used by reading the scripture at each stop and a paragraph or two from each chapter. It is a good book and worth the read. 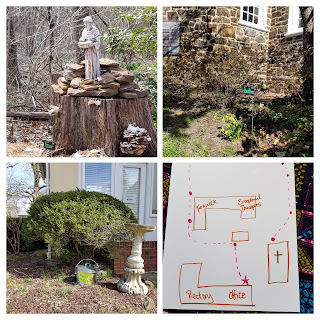 · There is also a wonderful children’s book that only has 12 readings and includes Easter, but perhaps you could use it and make two stops be for silent contemplation. · There are two sets of 14 art images. Take this along with you to contemplate. · There is one set of 14 ‘quotes’ to contemplate. Then this being the modern age there are several publicly available digital options. Busted Halo is a terrific young source of digital content for smart and honest faithfulness. A Catholic 'Way' to be sure, but worth a watch of these 'Virtual Way of the Cross' videos, all available on YouTube. Here is a PDF of a thoughtful and profound version of the Way of the Cross offered by the Reverend Frank Louge. This is what is printed and put in the bucket. My only complaint is the Roman numerals. I really hate that we make it hard for people to count. The language of the people includes numerals!!! 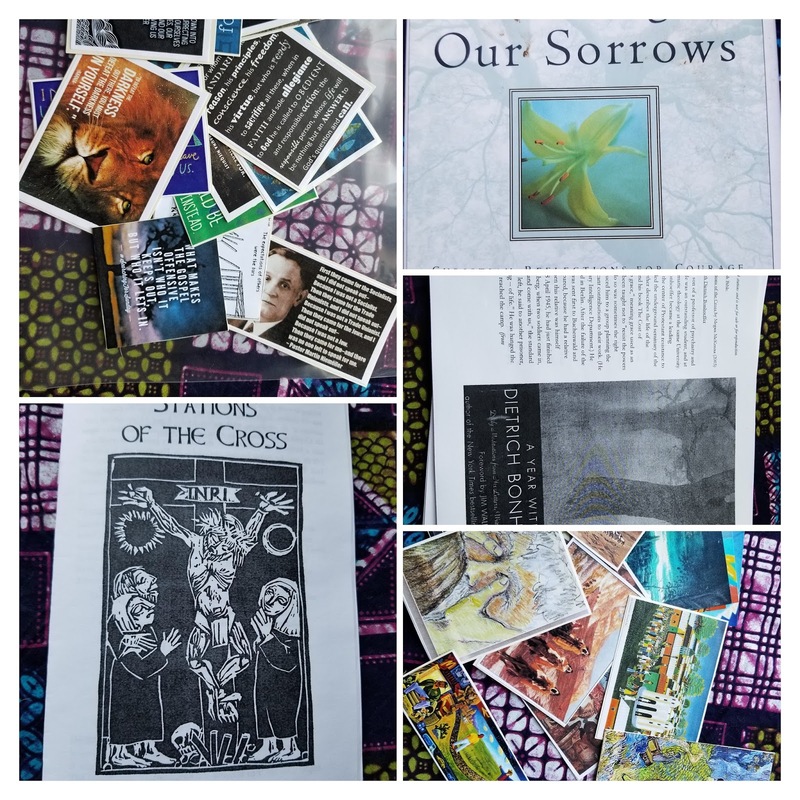 This is a link to a pdf of the typical Episcopal texts of the Way of the Cross with images from Episcopal Relief and Development. This is a podcast explanation of the stations more than a prayerful way through, but might be what you desire. This is a podcast of a set of biblical stations of the cross. 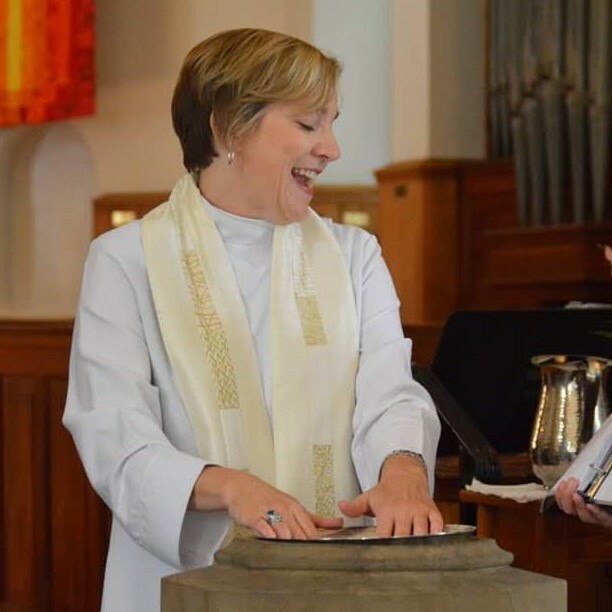 Some of the traditional stations come from tradition and not a specific scriptural moment. May this be a blessing to your journey and may we find ourselves in union with all who suffer at the foot of Jesus' cross. Interim Sheep-dog (pastor & priest) for Episcopal churches and frequently irreverent, beer sipping, baseball watching, mover and shaker.